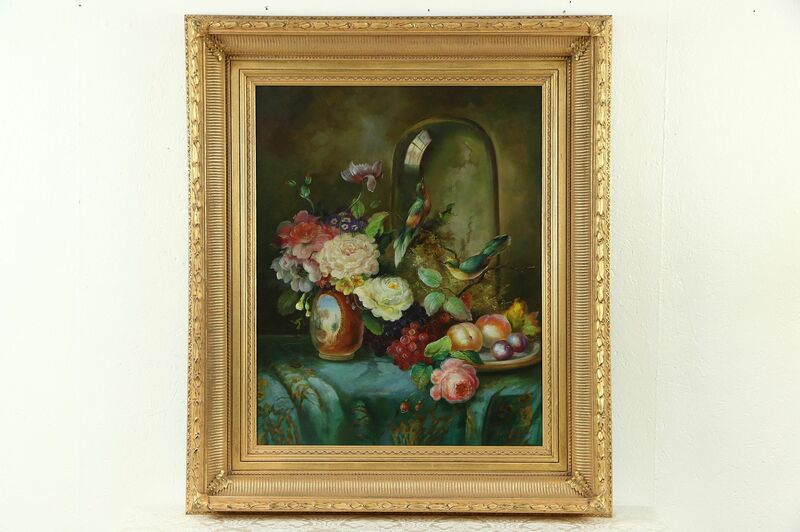 Flowers, a bird and fruit are the subject of this still life original oil painting on canvas. About 15 years old, the artist's signature is "(?) Richard." Rich glowing colors and fine brushwork are beautiful on this work of art. The opulent burnished gold frame is deeply embossed. Overall size is 34 1/2" x 40 1/2" and 4" deep.